Known as the “Gateway of Kumaon Hills”, Udham Singh Nagar is a beautiful town in Uttarakhand blessed with soothing weather. 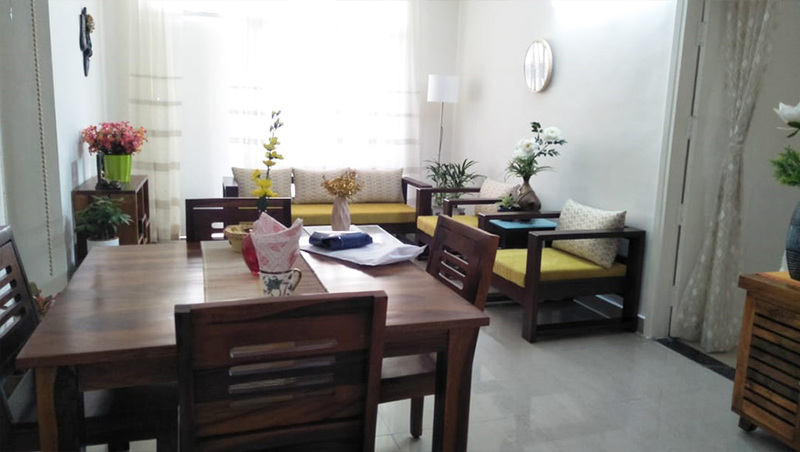 Jha residence in the town recently met with a mesmerising makeover. 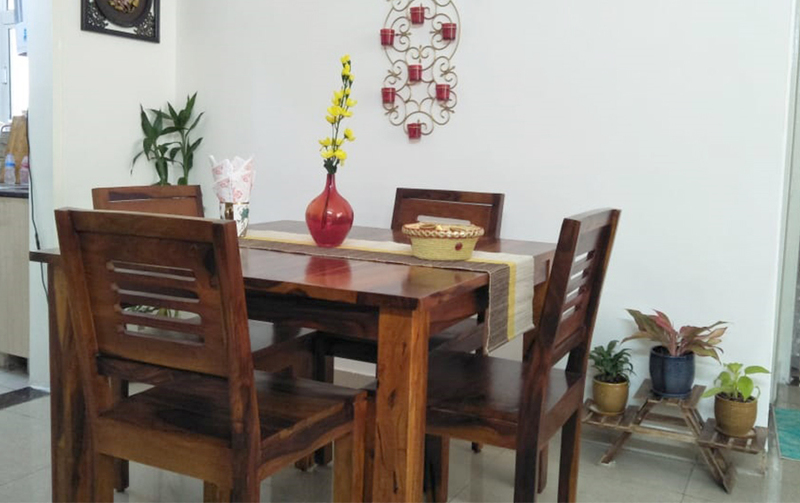 Wooden Street is very happy to share the glimpse of the beautiful abode of Mr. and Mrs Jha. Home is a feeling and furniture brings emotions to it. 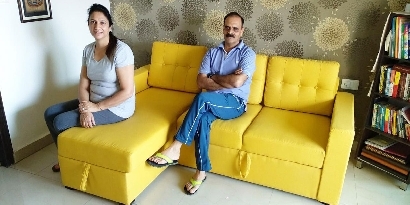 Mr. and Mrs. Ashok Jha went head-over-heels to give their home a new life. 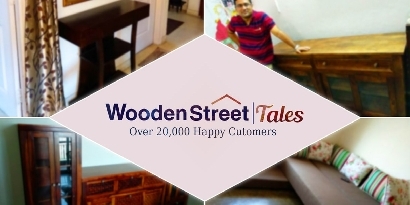 The couple got to know about Wooden Street from Google while searching furniture online. 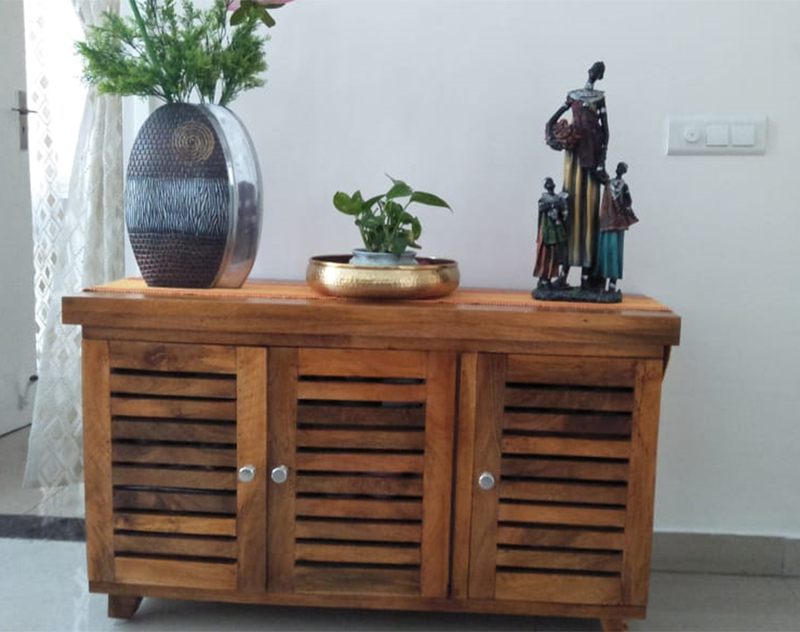 After a quick tour of the website and a brief discussion with the support team, they understood that their home can get the look they need through Wooden Street. Living room is the place where you create memories, share your daily experiences with family, lounge and watch movies, host parties, enjoy meals with your dear ones or just laze around on a sluggish day. Creating cosy and inviting ambience was the basic necessity of Jhas. They added Liddle Tea table, Cindy Display Unit and Marlon TV unit which matched the existing sofa set perfectly. 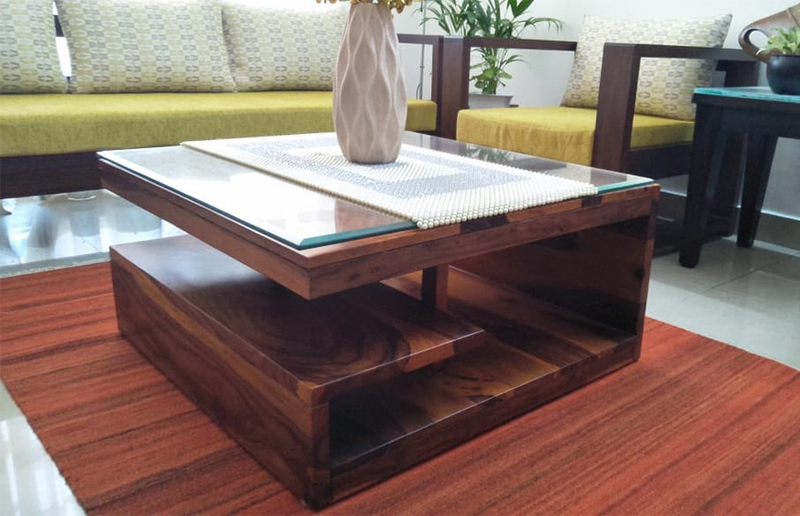 For the Foyer, they opted Kathlyn Shoe Cabinet and customised its size and top surface as per the available space. 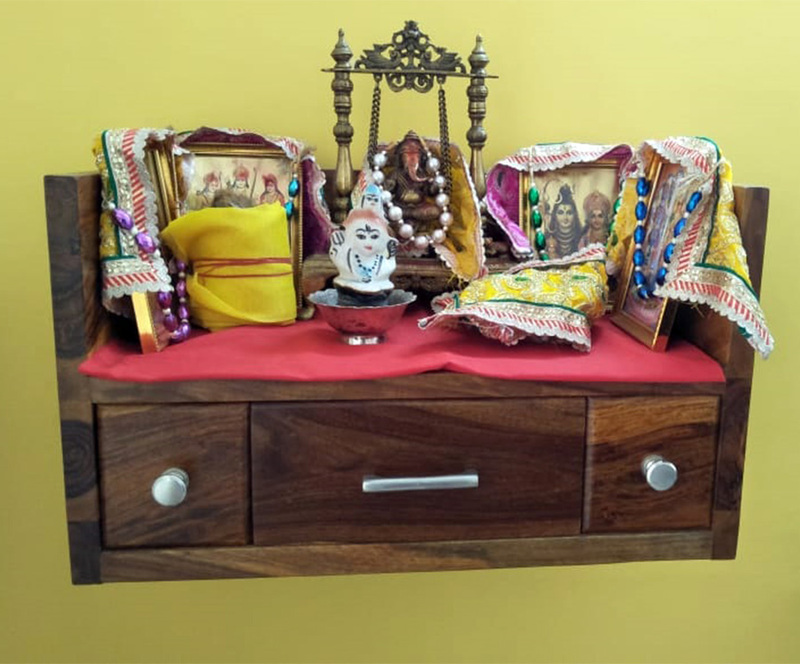 Mr. Ashok skipped the provided seating option for a good reason and decorated it beautifully with decorative items. Marlon TV unit in the Jha residence also went through customisation. 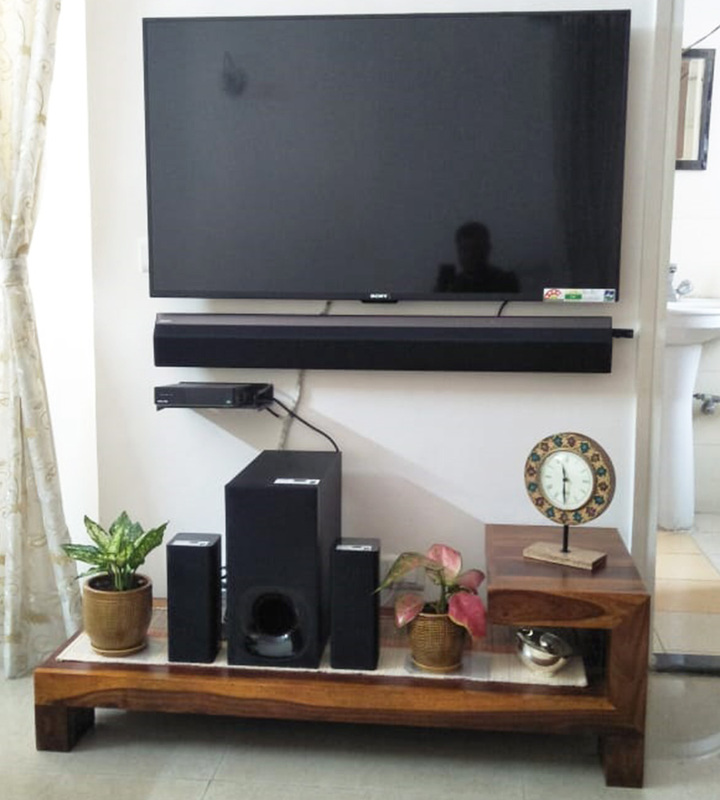 He asked us to increase its length, so that he could set up his home theatre unit to create an entertainment corner in the living room. 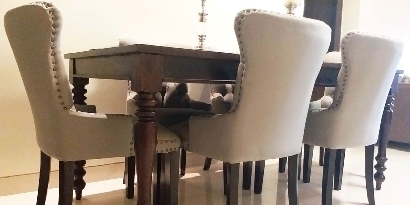 Dining room is the integral part of Jha’s living room. The compact and classic Janet 4-seater dining table, with low backrest seats, goes perfectly with the available small space. The couple decorated the space with a classy table runner, elegant candle holders and beautiful planters. Every Indian household is incomplete without a home temple. 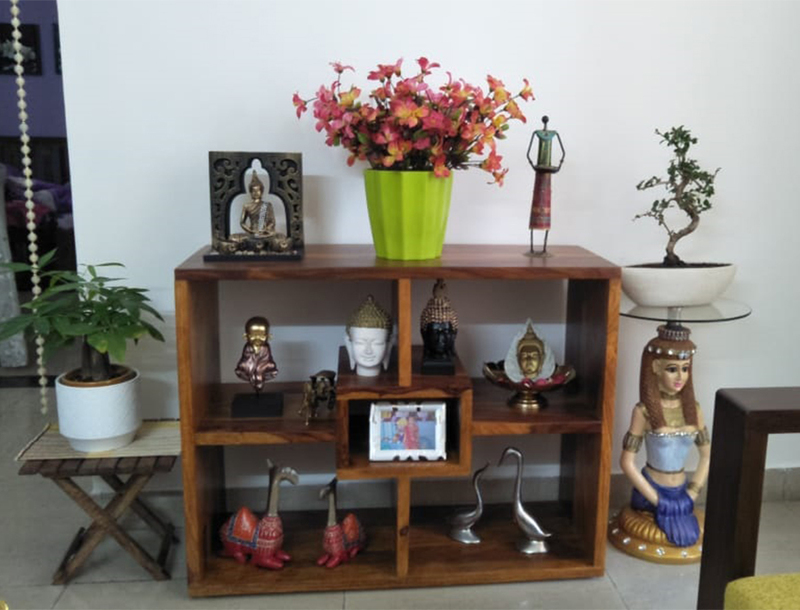 Mr. Jha chose Ananta home temple for the divine corner of his home and customised the dimensions, so the unit fits in the pre-desired space in the kitchen perfectly. For the bedroom, they choose Douglas bed with storage. 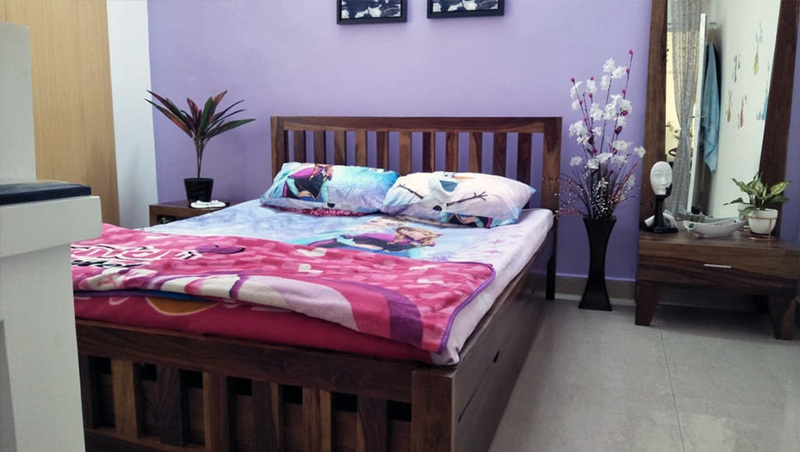 This simple and classy bed was perfect for their daughter’s bedroom. They complimented it with a Carden bedside table to add some chic storage. 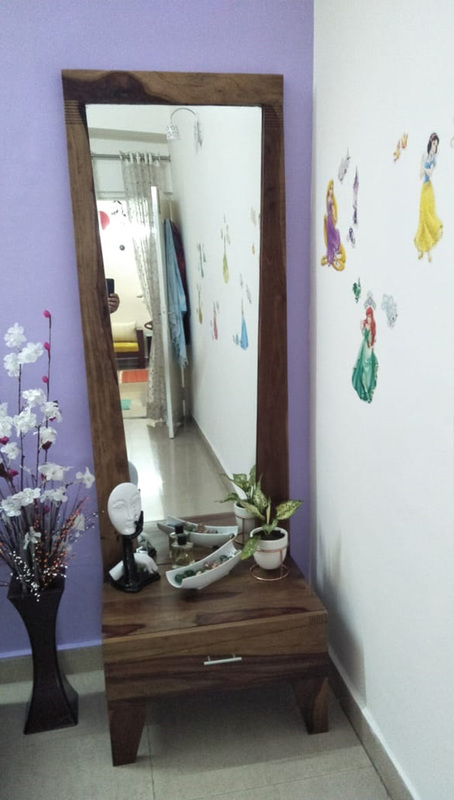 Dressing table is a must have furniture unit for any girl’s bedroom. 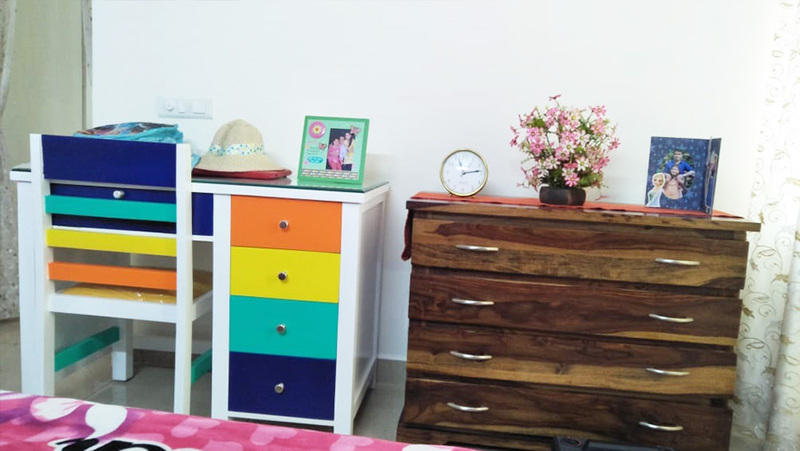 The couple choose Safra Dressing Table for the daughter’s bedroom that sums up everything in a beautiful and stunning design. To create a comfortable homework space in the room, Mr. Jha chose Pixie Study table. This colourful study table with chair adds joyful colours to the bedroom. Warner chest of Drawers besides the study table enhances the bedroom storage in a beautiful manner. The top surface, decorated with flowers and frames, is hard not to notice for anyone who enters the room. Happy with this purchase, Mr. Jha has placed another order with us for his master bedroom. Wooden Street is ever-so-grateful to have helped in furbishing your home.